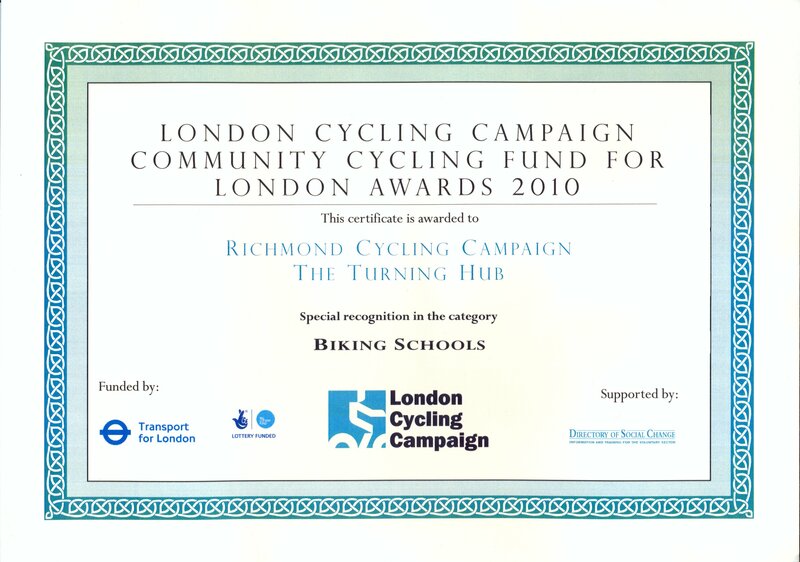 A mobile bike club called The Turning Hub, run jointly by Richmond Cycling Campaign and Twickenham Cycling Club, has been successful in receiving funding from the Cycling Fund for London (CCfL), allowing it to continue to expand its activities across the Borough. 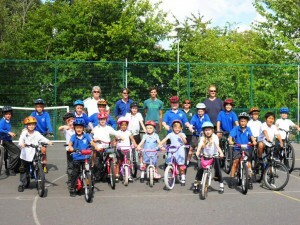 The club started out at Orleans Park secondary school during the 2009-2010 school year (and even made it onto TV!). 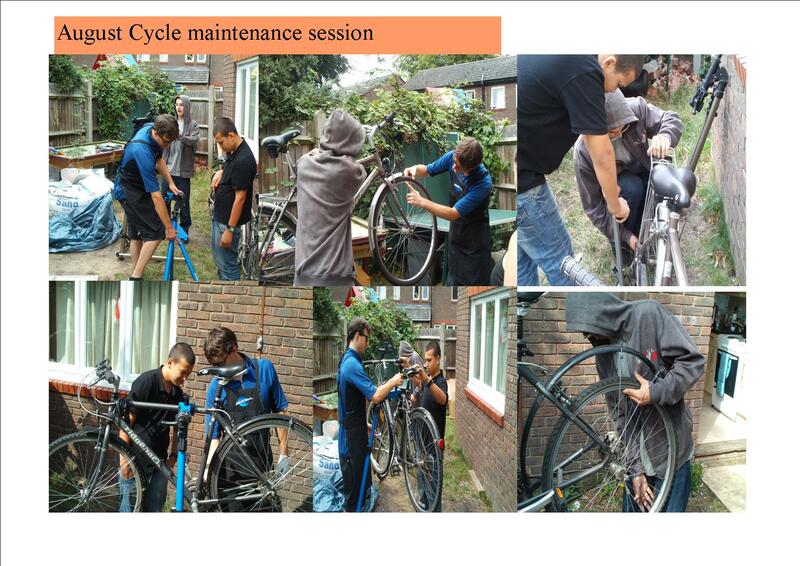 It then went mobile, bringing a range of cycling related activities to the doorsteps of schools and other organizations across the Borough. These included on road cycle training, off road British Cycling Go Ride sessions, playing Bike Polo and maintenance sessions. The club continues to flourish. 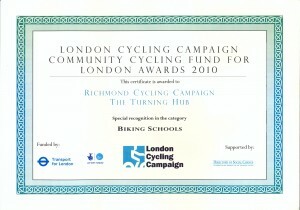 If you would like The Turning Hub to visit your school or organisation, check out their website – www.theturninghub.co.uk for more details. 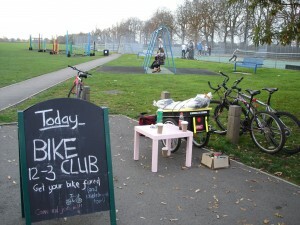 This entry was posted in Better by Bike, Community by admin. Bookmark the permalink.